We can talk about the awesome perks of having a wonderful girlfriend who owns a Xbox One later, but one of the bigger ones that is pertinent today is if you run a review site like me that reviews video games, then you get to see some of these games without going through the hassle of buying a next gen console. But either way, on to the subject of today. 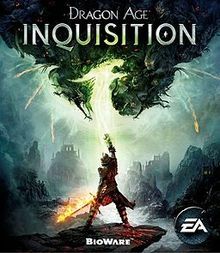 One of said girlfriend’s favorite game series is Dragon Age, a game that I never really got into. The reason for this is the same reason I didn’t get really into Mass Effect when it first came out… I just didn’t feel like picking it up. One of those things that is always in the back of your mind, that game that you REALLY want to play but just find other things to occupy your time on your way to the grave and by the time you do play it, it is way past the point of relevancy.